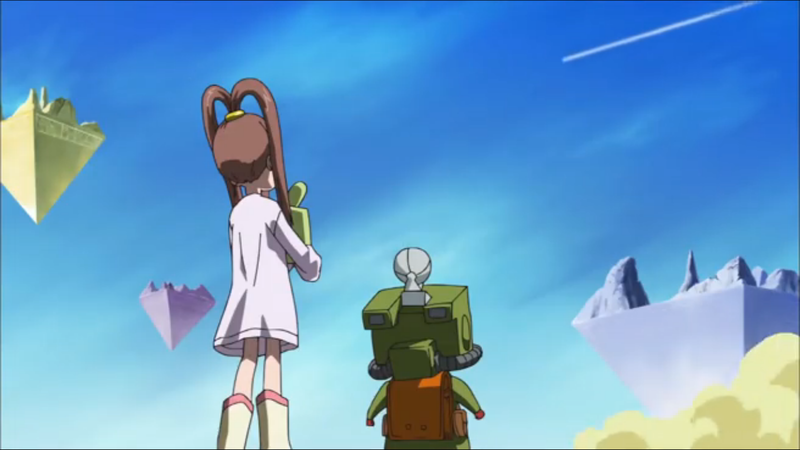 Digimon: System Restore: Fusion Episode 12: Treasure, Traps, and Trouble – Oh My! Despite the series being clearly defined by a set of mini-arcs, the same pattern that's weaved its way into most of the seasons is looking like it'll hold true in Fusion as well. Like clockwork, once the episodes start to get into the preteens, they start to get less formulaic and annoying and things actually start happening. They don't necessarily get better; that was only the case in Data Squad. But while this adventure is way too flawed to earn high marks, it's clear that Fusion is starting to open things up and break out of the rut it's been in since entering Island Zone. Probably the biggest flaw this time is that the Fusion Fighters earn a code crown without exhibiting any sort of extraordinary effort. In fact, the only reason they end up on the right track to begin with is an inexcusable lack of discipline. By now, everybody on this team should have their priorities in order, and any that don't involve collecting the code crown or liberating the zone from the bad guys should be cast aside. Yet at the first whisper that there's buried treasure to be found, everybody charges into the desert and gets heatstroke. They end up underground when they charge towards an oasis and get caught in quicksand. That's a serious lack of leadership there. While escaping the quicksand and the BigMamemon requires some ingenuity on Mikey's part, most of the time the team is propelled by dumb luck. They crash into one of Bagramon's generals and are forced to retreat. 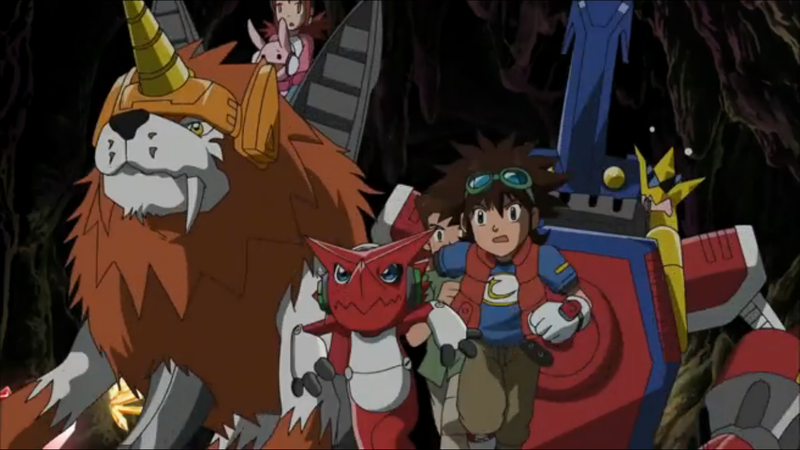 They're rescued by Deputymon, who enlists them into a treasure hunt that happens to have the reward they're looking for. The impenetrable door inexplicably responds to Angie slutting it up (she's less convincing at this than Mimi or Zoe, making it all the more disturbing). Blastmon's insatiable hunger for jewels leads them to the final chamber, where Mikey pieces together the Pharaohmon's really obvious puzzle. The pharaoh in Yu-Gi-Oh should give him some pointers. In the meantime, a far more important development on the surface is barely given a second thought. After spending this whole time doing careful surveillance without giving any indication of her actual abilities or allegiances, Nene finally enters the fray with Christopher watching her back. Her army of Sparrowmon and a few Monitamon doesn't seem all that imposing, making their effectiveness seem a little sinister. They don't look like a threat, but Nene has us convinced that they might be. It raises a lot of questions, like her main objective, why she chose now to start playing ball and how Christopher (as opposed to Mikey) fits into her plans. It's too much to expect any answers, but rather than being treated as a minor subplot, the episode would be better spent emphasizing her and making sure the audience is left wondering. Still, it's a tricky one to judge because in spite of all these transparent faults, this episode is still enjoyable as all hell to watch. Despite being unconvincing as one of the three generals alongside credible (and still entertaining) threats like Tactimon and Laylamon, Blastmon's simple-minded pursuit of shinies is fun. So is accidentally falling into him by sheer fortune, a departure from the usual script of getting through layers of underlings before reaching the general. There's wacky chase sequences, snide comments (Ballistamon is finding a niche pointing out the obvious whenever his teammates fail to see it), and the sort of stuff that the dub has always delivered with more energy than the original. It's all quite silly, but in limited doses that's not a bad thing. You just kinda wish you could hear more of what's going on topside. Jijimon pops out mid-jump to explain the history of the Digital World and the significance of the code crowns. Valuable info... felt like it would have been better served about five episodes earlier. Cutemon sounds awfully weird when he's yelling about Jijimon's treasure story leading them into trouble. As evidenced by this and his appearance in Zero Two, Deputymon seems to specialize in silly episodes that don't accomplish very much. So all of a sudden Mikey can reuse his digicards? That could have come in handy in previous zones. Maybe the second time around, he might actually know how to use them! The digifuse sequence for Shoutmon X4 was abbreviated! There's hope yet! The post-episode analysis rarely has much to talk about, but there's something awesome about Monitamon breaking the fourth wall and fishing for compliments about his acting. It's not a style of humor the show busts out very often. wow all the episodes have gotten c's or above was this better then adventure and frontier? Adventure: 2.11 after 12 episodes, 2.89 complete. Zero Two: 2.42 after 12 episodes, 2.77 complete. 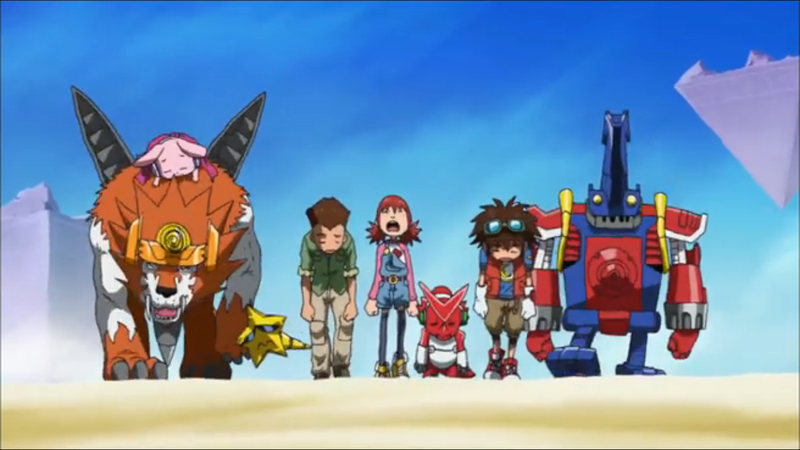 Tamers: 3.14 after 12 episodes, 3.33 complete. Frontier: 2.61 after 12 episodes, 2.59 complete. Data Squad: 2.42 after 12 episodes, 3.10 complete. Fusion: 2.69 after 12 episodes, ??? complete. In my personal opinion, I wouldn't say it was better than Adventure. Adventure started off really weak, but hit its stride near the halfway point. Fusion (based on the original, since the dub isn't finished yet) has a marginally stronger start, but remains pretty mediocre throughout. It's definitely better than Frontier, faint praise though that may be.